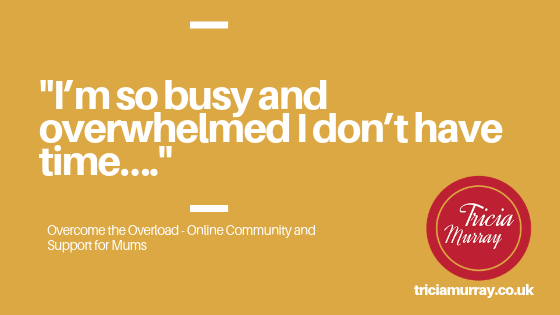 When I launched the pilot for Overcome the Overwhelm… I kept getting messages from my friends saying… “I’m loving what you’re doing and I’m so tempted myself… except I don’t have the time to commit”. …. The great thing is… you only literally need 5 minutes a day to make a significant change to how you feel and start feeling so much better…. 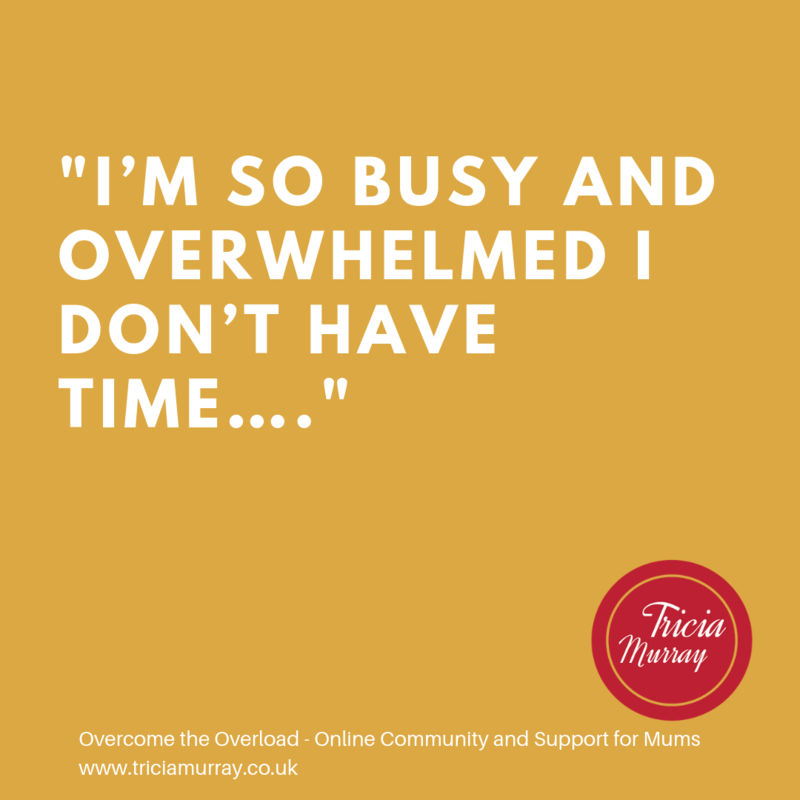 And I’d be lying if I said some of the mums in the group haven’t also said similar – that they don’t have time because the reality of life is we often put things that make us feel better on the back burner – exercise, meditation, breathing, time out for us, eating sitting down, enjoying a cup of hot coffee…. A belief that things can’t be better – there’s maybe a benefit to being stuck? Remaining stuck maybe feels safe (how would it feel if you didn’t feel stressed), you’d have nothing to complain about, maybe you enjoy having the victim narrative? Many of us are resistant to change. It’s hard to break patterns that have take 20/30/40 years to build. It’s hard to think different. But that’s where our stories (the excuses we make for ourselves) and belief systems come in. 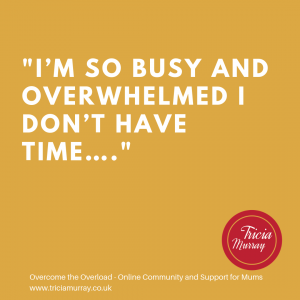 The mums in the Overcome the Overload community have been using EFT over the last month. I’d say about half of them are actively engaged and using EFT. Those that are using EFT are reporting fantastic results – for example less stressed, less anxious, less guilt, calmer, sleeping better, overcoming fears and obstacles, managing stressful situations better, letting go of control, using it for supporting difficult relationships and so much more. 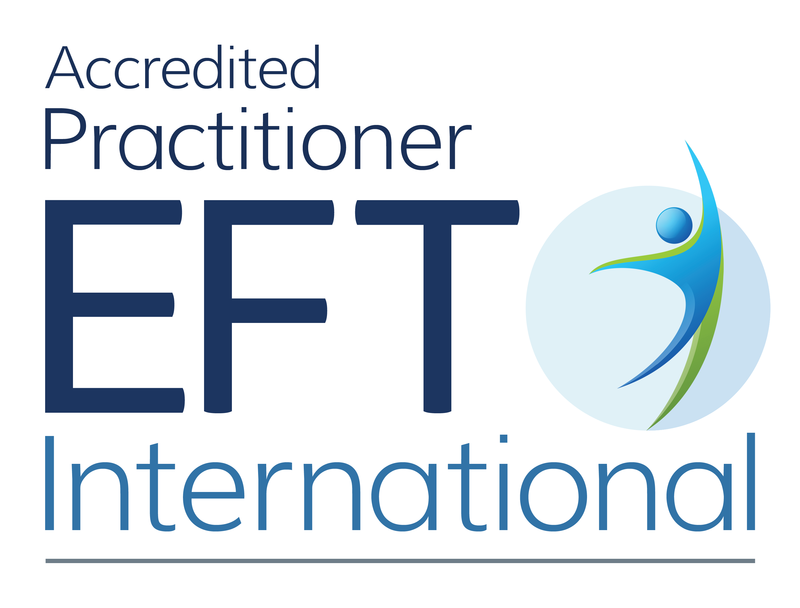 There are over a 100 research studies now demonstrating the efficacy of EFT for stress, anxiety, trauma and so much more. Overcome the Overload community re-opens on the 12th April. If you’d like to be part of this community and learn to use EFT in a supported way – details are here. Or book in for a one to one EFT session.